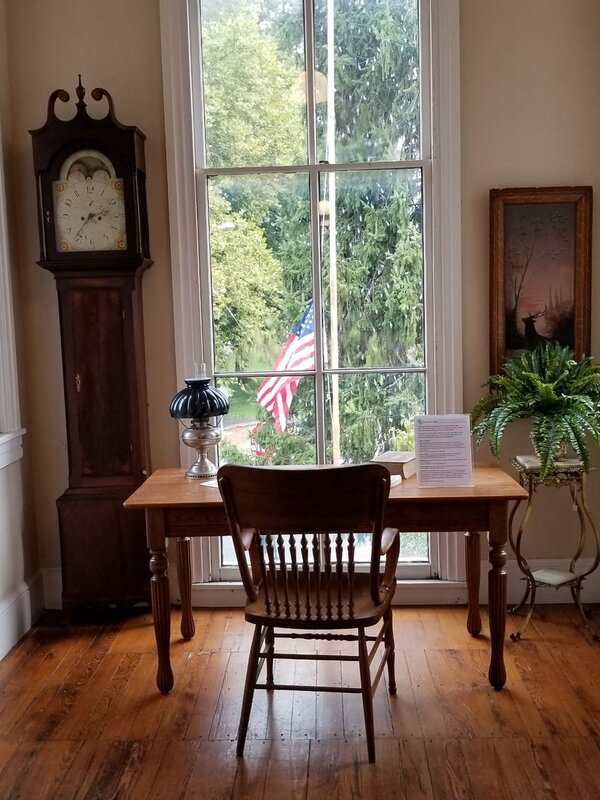 In 1971 the Township Committee of Harrison Township under the leadership of Mayor Philip J. Reuter, appointed a committee whose purpose was to form a historical society that would lead a community effort to preserve and provide a new purpose for Mullica Hill's historic Old Town Hall. Since that time the Harrison Township Historical Society has successfully met this initial charge, not only preserving the building (a key contributing structure in the Mullica Hill National Register Historic District), but also establishing a museum that has won state and national awards for its exhibitions, programs and publications. After the building's initial restoration the Society began presenting exhibitions and programs focusing on the rich history and culture of Harrison Township and southern New Jersey. In 1977, with grant support from the New Jersey Historical Commission, the Society offered its first major loan exhibition, Design Down Jersey, focusing on the region's decorative arts. The success of this program led to the development of even larger projects. In 1981, for example, the Society presented A Friendly Legacy, the first major exhibition and public program series focusing on southern New Jersey's important Quaker heritage. This project received major grant support from the National Endowment for the Humanities and attracted regional and national attention. The American Association for State and Local History recognized the Society for the excellence of this project with its prestigious Award of Commendation and the related publications received an award for excellence from the League of Historical Societies of New Jersey. Now almost half a century later, the Society is the repository of an important collection of museum artifacts and archival material that document the history of the community and environs. It continues to present noteworthy exhibitions and programs, often in partnership with other community and regional organizations. Our education programs are provided free-of-charge to local schoolchildren and youth groups. We also present two popular annual events, the Groundhog Day Dinner and the Mullica Hill Ghost Walk, and publish a newsletter, Milestones, featuring articles of local interest and news about the Society's activities. Through its collections and activities, the Harrison Township Historical Society has established itself as an important cultural institution in the region, having successfully brought new life to Old Town Hall, just as it was charged to do almost 50 years ago. Executive board meetings are at 7pm on the second Wednesday of each month (excluding July and December). Everyone is welcome to attend.